The Flower of Life is an artistic investigation and meditation into the concept of endless growth in a densely overpopulated world. 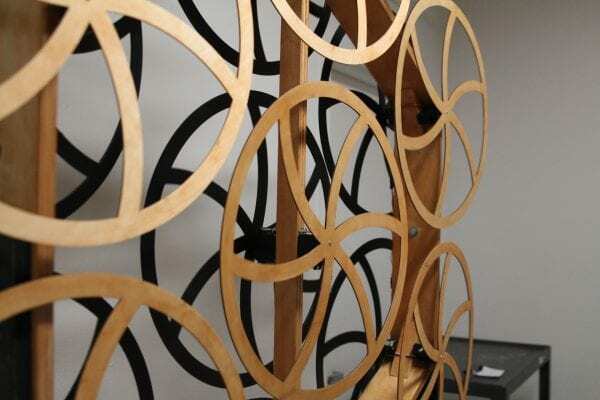 This kinetic installation comprises of seven pairs of disks that are equipped with fourteen servo motors. The seven pairs are designed to represent different geographic regions, where one disk of the pair depicts death rates while the other represents birth rates of each region. The two disks spin in opposite directions to generate a contrast and resemble the cycles of life and death. 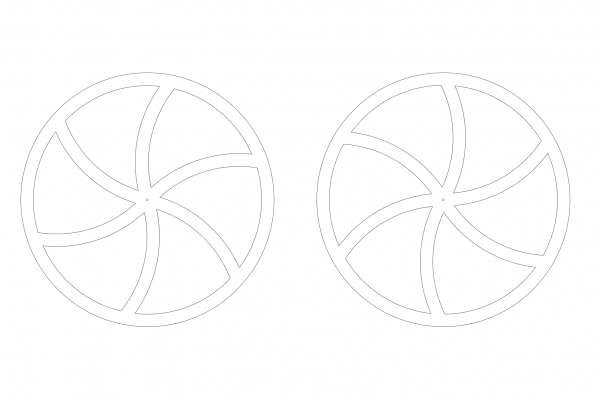 The disks are juxtaposed in front of one another to create an optical illusion of a flower pulsating with life. The speed of the disks vary depending on the birth and death rates of the regions they are meant to represent, and the center disk is meant to represent the world as a whole. Together, the constant rotation of the disks on the sculpture resembles the continuous cycle of life and death, without the user’s ability to slow it down or stop it. The sculpture stands tall at almost 7-ft high and creates a loud buzzing sound, feels alive. 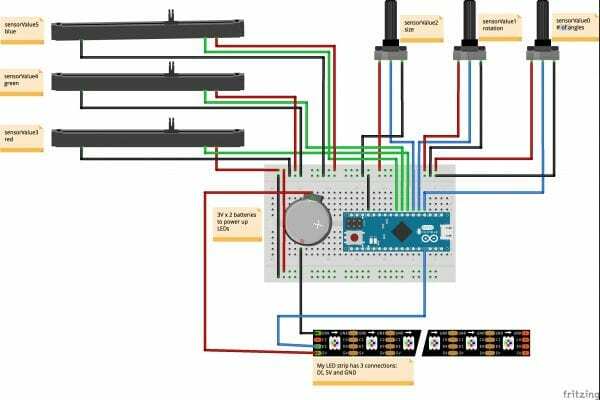 This project used an Arduino Mega, 14x 360 Continuous Rotation servos and a 5V AC/DC power converter. The rotation of the disks was based on birth and death rate data for 6 different regions- North America, South America, Africa, Asia, Europe and Australia- which were directly hardcoded into the Arduino- as well as the world represented in the central disk. The values are taken from the CIA World Factbook, which lists countries by their most current birth and death rates. 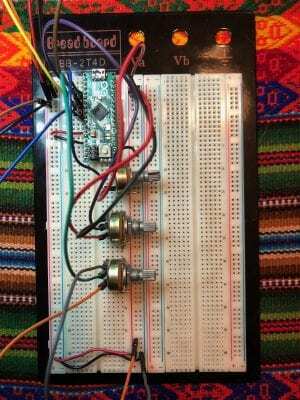 In order to get the values for the continents, we added the birth and date rates of all countries in each continent and used the results as servo rotation values on the Arduino Mega. This ensured our data is still relevant to the audience and allowed us to fine-tune those values to achieve a visually pleasing outcome. For this project, we decided to dive entirely into the creation of an abstract art installation which would provide for a meditative and poetic journey for our viewers. The challenge was to push the boundaries in two aspects: The realization of an object that ‘lived’ and ‘spoke’ for itself without requiring any interaction from participants, and secondly the craftsmanship of this object to make it as immersive, engaging and advanced as possible. Our previous projects required an interactive relationship between the objects and its viewers, hence making them participants in the experience. This experiment, however, allowed us to delve into the creation of an object where we as creators self-imposed the restriction of eliminating any interaction from audiences that would change the state of our object. After much deliberation, we arrived at this decision because the nature of life and death are eventually forces of nature that is inevitable and we as human beings have no control over. This project is meant to be an extension of Experiment 4, which was also titled the Flower Of Life. Drawing from the feedback from Experiment 4, our approach was to dabble in multiples pairs of the Flower Of Life to allow for a contrast between different data sets to emerge. Moving away from data visualization of populations across the world from experiment 4, experiment 5 instead focused on creating a visual experience reflective of growth and the circle of life. We categorically researched installations that worked with the concept of multiples, and especially servos to understand the broad scope and range of what we could achieve. The case studies helped significantly in broadening our understanding of how different artists approached installation art, the concepts and themes explored behind these objects, the kinds of materials used and the varying degrees of interactivity among the installations. The ones listed below were all inspirational and instrumental in discourse around what was aspirational and what was possible within our team. Kinetic Sculpture in Thornton Tomasetti’s office by Jonatan Schumacher, who was commissioned to make a sculpture Illustrating the themes of education, collaboration and innovation at the San Fran office of Thornton Tomasetti. The sculpture, which is suspended from the ceiling, features 48 servos with lightweight carbon fiber rods that cantilever outward. The movement of the servos is controlled via Arduinos and sensors that cause the sculpture to respond to people walking through the space below. This was built over a few months, starting with a ¼ scale functional prototype in New York where they tested the electronics, motors, sensors and wireless communication. We were intrigued by this project that communicated complex themes through minimalist movement and shapes. However, most of all we were inspired by the process of first creating a scaled down prototype of the final installation which allowed for the testing of electronics and motors. We decided to treat experiment 4 similarly, reassessing the use of materials and electronics and how it might be improved for a more ambitious version. The exhibition design of this installation lead us to consider newer ways in which the installation could be displayed. We considered mounting on the wall, suspending from the ceiling as well as the pedestal mounting it. The Pieces Back Together Again by Ralf Baecker is an artistic investigation into complex systems, self-organisation and scientific methodology. It was made using 1250 stepper motors arranged on a 2D grid, with several acrylic strips mounted on the motors moving in different directions. This kinetic installation is meant to represent emergent constellations and behaviours when the acrylic strips would sometimes intersect and reverse directions. Once again, the articulation of this abstract concept through the use of minimalist shapes, movement and sensors made this artistic exploration an inspiring one, and we attempted to ideate other ways in which we could communicate the concept of ever-evolving growth through minimalist symbols This concept could have only been communicated through the employment of multiple acrylic strips that would self-organise and influence one another. We were then certain that the next step from experiment 4 would require us to dabble in multiple revolving disks to allow for a more comparative and universal experience of growth. We decided to use the birth and death rates across continents, which would be a manageable number of pairs to handle for the installation. 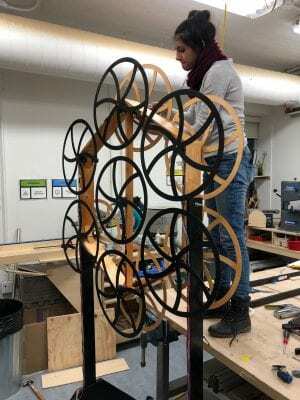 The Metaphase Sound Machine is an object with 6 rotating disks, arranged in a cluster similar to the Flowers of Life that we intended to construct. Essentially the object is an audio- and kinetic installation in which a sound is synthesized based on feedbacks, produced by microphones and speakers on rotating discs. In the center of installation a Geiger-Mueller counter is set, that detects ionizing radiation in the surrounding area. The intervals between these particles influence rotation velocity of each of the disks. This installation shared a similar feature with The Flower of Life of containing revolving disks, whose movement was influenced by gathered data. However, for our installation, instead of collecting this data from the environment, we deliberated between the use of data extracted from an API or data hardcoded into the Arduino that would influence the speed of the disks. Furthermore, this installation was instrumental in making us think about the ‘animated’ character of our installation. 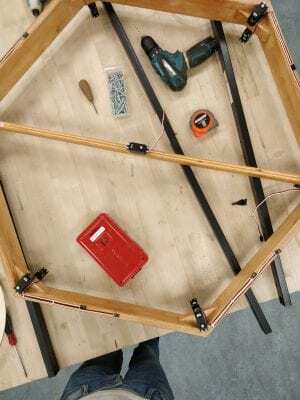 With the tentacle-like effect of the cables coupled with the audio output from the Metaphase Sound Machine, the installation gave the effect of having a life of its own. This inspired us to consider a similar experience using LEDs that would connect various discs together, lighting up erratically to give an effect of life pulsating between the revolving disks. We were also inspired by the LED light setup for the Audio-Visual Cortex exhibited at the Audioversum Museum at Innsbrucke, Austria. 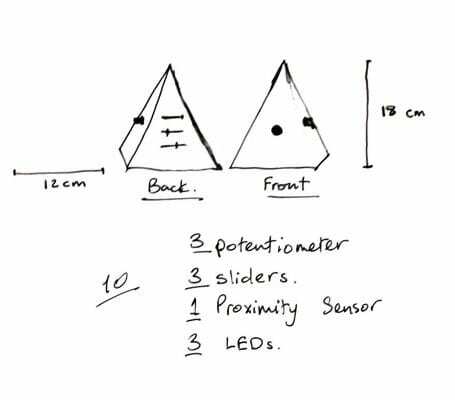 However, we decided to prioritise the functionality of the 14 servos that we would have to use and then assess the use of LEDs if time permitted. Building the sculpture was a challenging task and required a very high level of accuracy and craftsmanship. The shape we chose is symmetrical, which meant that balance is vital for the sculpture’s stability and aesthetics. At first, we were considering different methods to rotate the disks, we considered using gears and belts, however, that meant we had to source bigger and more expensive servos. We also considered giving the disks a gear edge in order to allow them to move each other, but eventually, we decided to take on the 14 servo challenge, which was important for us to overcome, and overall made more sense for our concept since the disks needed to move on different speeds depending on the values coded into them. Before starting fabrication, we were encouraged to test connecting all 14 servos to an Arduino Mega and a power supply in order to make sure that the power and the board can handle the load. After a few tests, and a servo fried, we were able to confirm that we had the right components to run all 14 servos smoothly and safely. Once we confirmed this, we moved on to the next stage of fabrication knowing that the power and connections are sufficient. 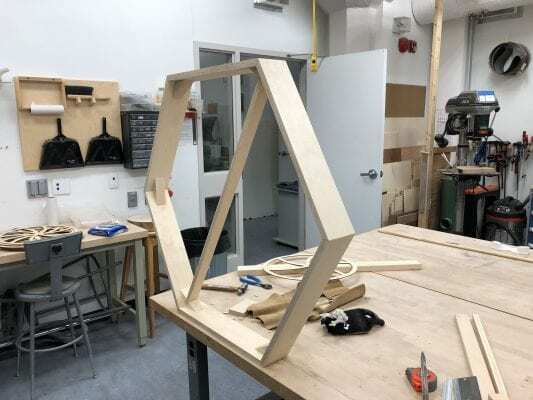 After finalizing a strategy for the build, we drew the plans for the sculpture and finalized the sizes and proportions of the different pieces. We also had to keep in mind the size and weight of each of the disks since the servos had limited torque and we had to stay within the limit. 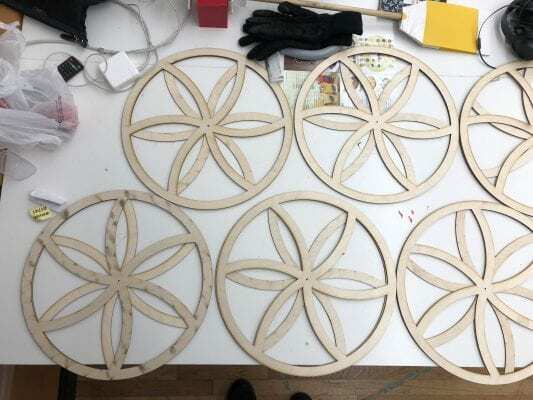 Also, it was much easier and quicker for us to use ¼” plywood (for the disks since it allowed us to use the laser cutting machine without worrying about the thickness of the wood causing any delays in the cutting process. Working in the Maker’s Lab was extremely beneficial since we have a great asset there, Reza. During our first meeting with Reza to discussed our plan, he immediately spotted several ways for us to save time while building. He recommended making the base of the sculpture in a triangle to maximize stability while minimizing the amount of materials used. Eventually, we completed the structure with almost perfect symmetry. We were also able to make the sculpture collapsable in order to make it easier to disassemble. Once the structure and its base were built and standing on the ground, we started with the wiring stage. Since we had 14 servos, that meant we had 42 wires to go around the structure from top to bottom, which added to more than a 100 ft of wires overall. 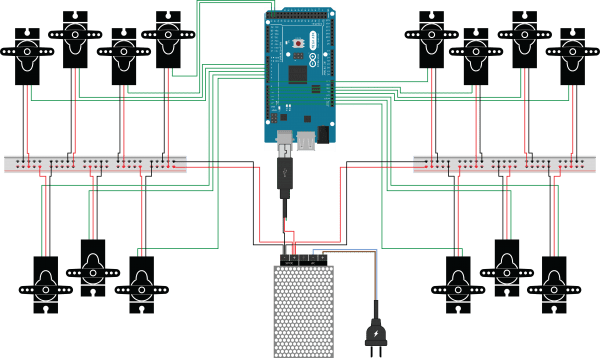 The wires stretched from the top servo with every seven servos’ wires going down one of the legs where there are power/ground bus terminals from breadboards, then the breadboards were both wired into the 5V converter, which is also powering the Arduino Mega inside the control box. Unfortunately, we underestimated the time that it would take to wire this structure, and ended up taking a lot more than planned previously. The result of that was by the time we reached the bottom of the structure, we ran out of time and had to quickly manage to connect and hide the cables from view. 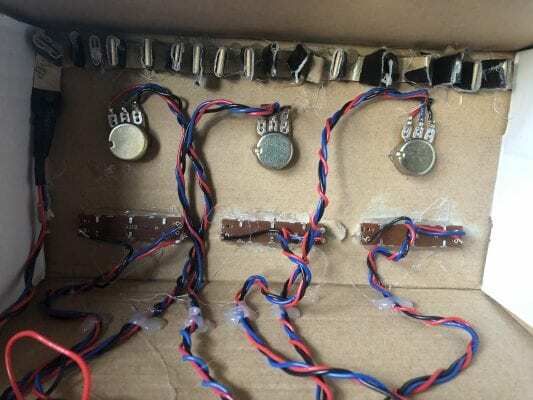 However, it is because of this misfortune, that we fully understood how complex, time-consuming and important the wiring stage is for the connections to be secure and troubleshooting accessible. We decided to finish the structure with a light wood finish to keep the organic look and gave the disks higher contrast to ensure the optical illusion. So, the birth rates disks were in darker birch and the death rates disks were black. 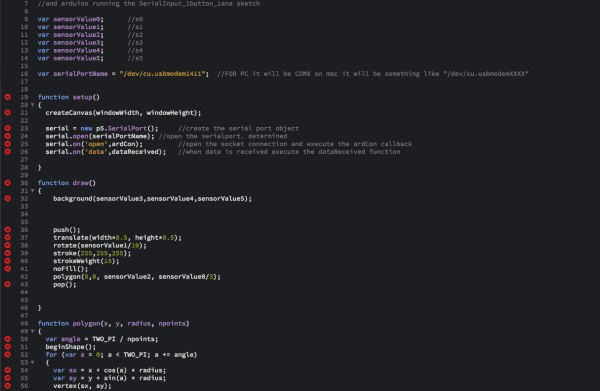 Once we realized the complexity in our fabrication process, we decided to simplify our code significantly. Basically, we identified the specific functions we wanted our structure to make and found the simplest approach to achieve that. 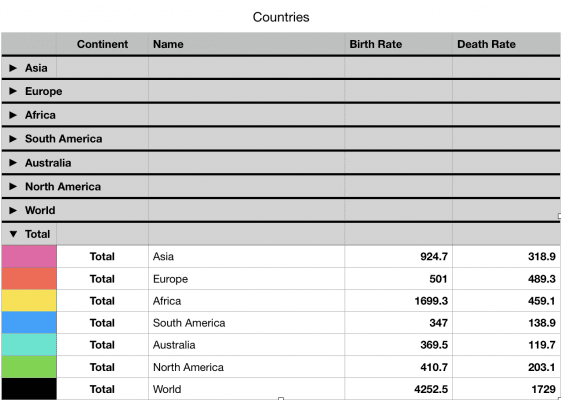 We already had our JSON country list from experiment 4, which had all the birth and death rates for all the countries around the world, and so it was easy to generate the data for the regions based on that list. After getting the right values for the regions, we then started experimenting with those values and tweaking them until they represented the values in a visually pleasing way. 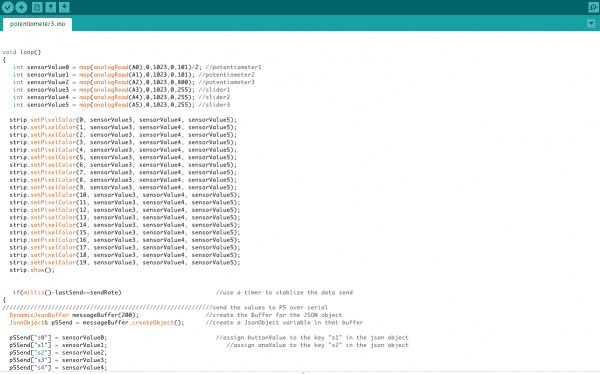 Our code is basically a simple servo code that defines the pins each servo is connected to and defines the speed and direction each servo should rotate. First, we assigned two servos for each region, one for the birth rate and the other for the death rate of that continent, then coded values in opposite directions depending on the disk, this ensured they rotated in opposite directions and at different speeds. The first and most important feedback was about the wires. Since 1 of our disks didn’t work at all, and 2 worked but not effectively, we believe the cause of that was the wiring. So. the first feedback is to rewire this structure in a more secure way. 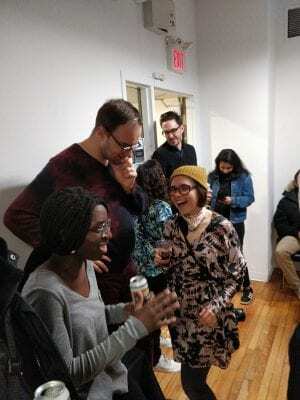 Other feedback was to have some sort of a screen to tell the audience what they’re looking at, which would orient the audience on the type of data they are witnessing and which area it belonged to. Going forward we believe that we should invest time in installing some light features in the structure, this would enhance the visual experience for our audience and push our sculpture into a higher technical standard. Also, we are considering adding a control box to the system that would give the user the ability to manipulate what they are seeing. For example, we can give the user the ability to see a different kind of information based on their interest and perhaps background. This would make our project more appealing to a larger audience. Overall experiment 5 was a challenging journey that opened our eyes to new things and new perspective in kinetics. We were able to utilize our modest skills in coding and capitalize on our fabrication and strong concept. In addition to that, our final installation received warm feedback from people especially older ones. In retrospect, it would’ve been very beneficial to have some more time to fine tune our system and make sure all elements are working properly. The community support is always a great asset to have in school and on the internet. We really benefitted from the “buffet” of electronics we learned about in class, especially when we learned how to identify good quality parts from cheap ones. 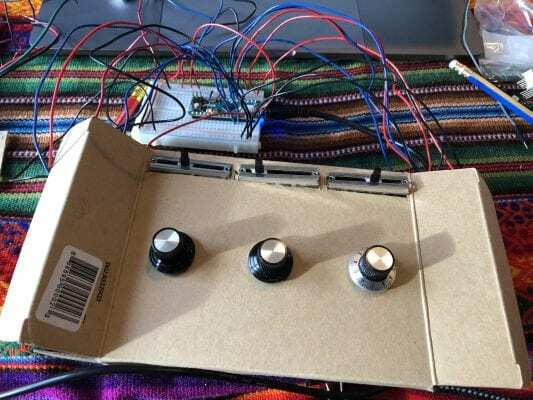 My project is made of 3 potentiometers, 3 sliders, and a strip of LEDs, all connected to an Arduino Micro, with an external power supply (3V x 3) for the LEDs. It functions has a basic graphic tool which gives the user control over the color of the background and the geometric shape in the foreground. It is mainly designed as an educational tool for children with autism, however, as I was building, I identified many other interesting variations and applications. 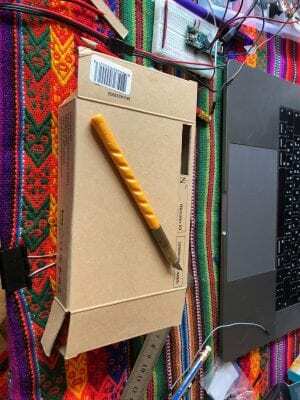 For this experiment, we were tasked to create an interaction between physical components (Arduino Micro) and a digital interactive canvas (p5). Coming from a very tactile hands-on background, working with coding and digital build was a challenge. However, I am interested in working with basic visual elements and creating interesting artistic pieces and interactions with them. So, my goal was to enter this p5 challenge from a direction I interested in and enjoy working with. Once I identified what I wanted to learn and explore during this experiment, I started considering a concept that would resonate with me and speak to something I really care about. Coming from a background that was exposed to several cases of autism, I decided to venture into bringing together the world of technology and education for special needs. Through my research I discovered that there has been many positive results from merge: “ Despite exciting preliminary results, the use of ICT remains limited. Many of the existing ICTs have limited capabilities and performance in actual interactive conditions” (Boucenna et al. 2014). In the abstract, the authors agree that there needs to be more effort invested in utilising technology for educating children with autism. When I identified the challenges ahead of me, I then started thinking of a function for this project and eventually landed on this idea: an educational tool / toy for children with special needs, specifically autism, that is beneficial, entertaining and attractive. Also, I’ve always believed in DIY concepts and how we can create solutions that can be shared with people to download and replicate at home easily. Since I am not a professional in the field, I did not want to rely solely on my personal experience dealing with children with special needs. So, I started my research into available tools and theories in what has been observed to work best or least. I came across an article called “Teaching Tips for Children and Adults with Autism” by Dr. Temple Grandin, who has personal experience growing up and overcoming autism. In her article, Dr. Grandin provides valuable insights into how the minds of autistic children work and what tools and techniques work best. 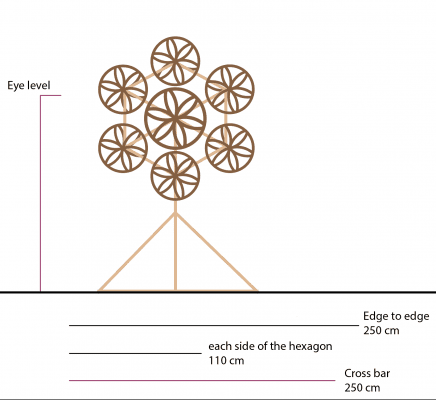 Grandin suggests to “ Use concrete visual methods to teach number concepts. My parents gave me a math toy which helped me to learn numbers. It consisted of a set of blocks which had a different length and a different color for the numbers one through ten” (Grandin 2002). As a graphic designer, I am trained to establish a visual line of communication with my audience, so this presented itself as an opportunity, and a challenge, to find the most appropriate visual language to communicate with a child with autism. In addition to that, Grandin also believes that “Many individuals with autism have difficulty using a computer mouse. Try a roller ball (or tracking ball) pointing device that has a separate button for clicking. Autistics with motor control problems in their hands find it very difficult to hold the mouse still during clicking” (Grandin, 2002). 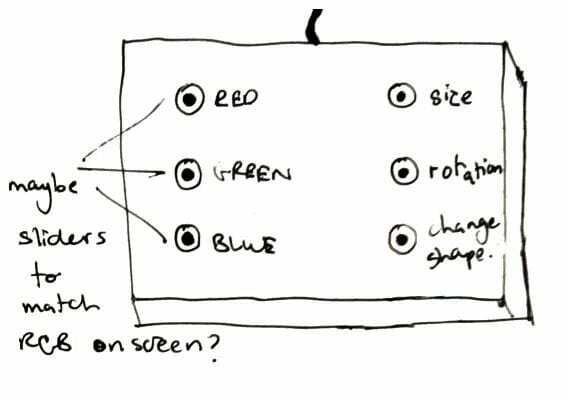 Based on those key insights from Dr. Grandin, I was able to gain an understanding of how the tool should physically look like, and the type of interactivity I would want the user to have with it. Observing existing toys that are designed for children, I decided to use basic geometry and colors as a line of interaction between the device (the user) and the screen. In addition to that, since I wanted to keep the affordances of the device simple, I compared the input devices available to us, and decided that potentiometers and sliders would be appropriate options to use. In conclusion, the primary graphic elements I decided to use were the 3 RGB values + size of shape + rotation of shape + number of angles in the shape. Eventually, I added a strip of LEDs in order to reflect the color on the screen into a physical component, which was necessary in my opinion, in order for the child to see the interaction happen in real-time. In the beginning I wanted to create a small four-sided pyramid, with the interactions knobs on each side: 1 geometric knob on each side and 3 RGB knobs on the fourth side. However, this direction quickly started showing some issues. My main issue with it is that it is not suitable for children with special needs, especially autistic children, because the tools for interaction are spread out around the device, and this can be confusing. Since it was not clear which knob does what, I decided using one surface that has all the interactions. Once I started sketching the new design, I noticed that having 6 similar potentiometers can get confusing and since RGB levels are usually sliders on screen, I decided that the RGB potentiometers should actually be sliders. So, after securing all the input components I needed to build my device, I started connecting cables and ensuring that all my inputs were functioning properly, and once soldered, maintain a secure connection. Working with physical prototypes is always very beneficial for me, because I quickly get a sense of the feel of the device, and more importantly, the size and space this device gives me. So, after working with my initial prototype for some time, I realized that I needed a bigger prototype in order to house all components and maintain accessibility to the inside of the device. 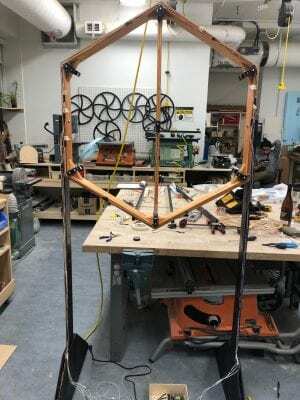 At this point, I had a strong idea of the measurements and the shape of the final prototype, which gave me more time to focus on the functionality and the coding side of the process. 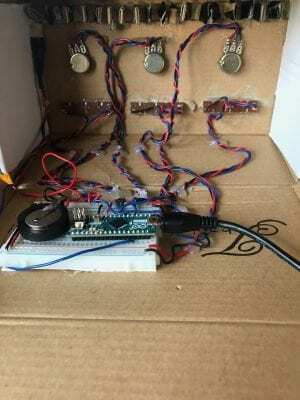 For my second and final prototype, I repurposed a small cardboard box, which had an opening/closing method that I was looking for in order to ensure I am able to access it easily without hindering my connections. Since I am still trying to wrap my head around p5, I wanted to identify a personal strength in p5 and a personal challenge. My strength when it comes to this project would be the geometry, and my challenge was the ‘map’ function and then communicating it from Arduino to p5. Looking through the examples on p5, I found several inspirations on how I could add interactions. What stood out the most was the geometric polygon shape in p5, which allows the user to change the size, the rotation, and the number of sides this polygon has, which essentially allows the user to change the shape completely. I saw a great opportunity in this, since it’s directly related to my concept, and I quickly decided to use this function as my main foreground element. 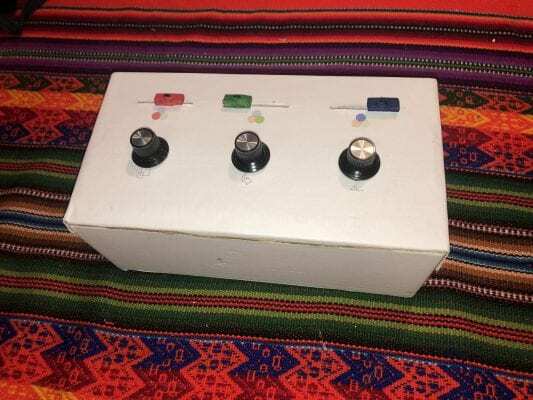 The interaction was based on the values of the three potentiometers, mapped in Arduino from 1023 to 100 for number of polygon sides, 100 for rotation, and 800 for size. After that, I mapped the values of the three sliders from 1023 to 255 and assigned each to be an R, G, or B value. This combination gave the user all control over the visual elements on their page, however, maintained a threshold of simplicity in the visuals that is necessary for my concept as an education tool for children with autism. Once I had my mapped values in the ranges necessary for meaningful interaction, the rest was simple application of what we learnt in class. I assigned the necessary port, established a connection between Arduino and p5, and started seeing a feed of data flowing from the physical components onto the screen, in real-time, which was quite satisfying. This process was very educating for me because this was the first time I am able to create, as simple as it can be, a controller of some sort that allows the user to interact with the computer outside the conventional way, which was eye-opening. It inspires to push those boundaries and experiment using more interactions and achieving different results. Even though this concept was created for children with autism, while working on it, I have discovered more applications for it. 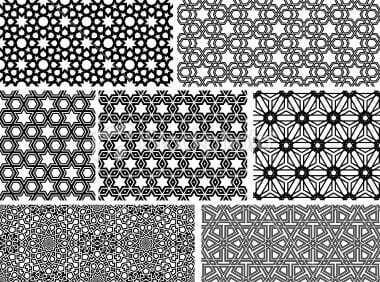 For example, since I have a background in tattoo art, I can see how a device like can be used as a quick tool to generate complex patterns from a simple geometric motif. A tool like this would be a great addition for a tattoo artist since it maintains the hands-on feel of the tattoo design rather than a complex computer program, which might take away from the authenticity of the experience. Of course, the functionality would have to be changed to reflect the requirements of a tattoo artist, but since color might not be of importance for the artist, changing the functionality of the sliders to apply mathematical equations used to generate complex patterns can replace the RGB values. I am interesting in pursuing this option and probably will have different variations of this device one day.